Cory Wells (born Emil Lewandowski on 5 February 1942, Buffalo, New York – October 20, 2015) is an American singer, best known as one of the three lead vocalists in the band Three Dog Night.Cory Wells came from a musical family and began playing in Buffalo-area bands in his teens. His father, who was married to someone else, died when Cory was a small child, leaving his mother to struggle financially until she eventually remarried. 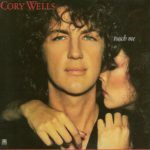 She gave Cory her maiden last name so not to implicate his natural father, although Cory did eventually change his last name to Wells (which is a shortened version of his birth father’s last name, Wellsley). His full stage name “Cory Wells” was suggested by “The Enemy’s” manager who had a son named Cory.